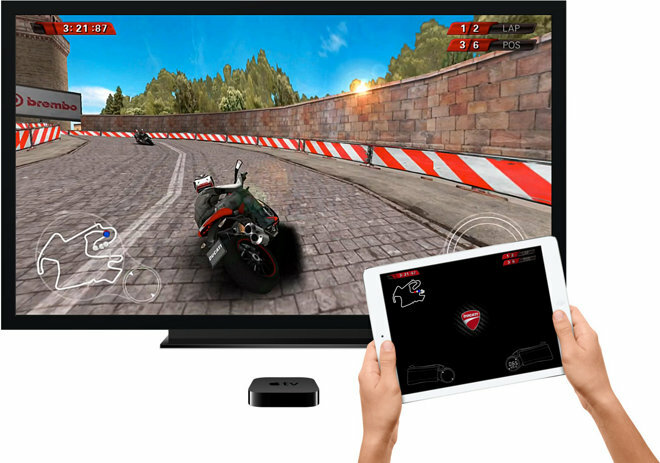 A revamped Apple TV with its own App Store downloads could enter Apple into the $35-billion-per-year gaming market, adding an estimated 3.3 percent to the company's 2016 earnings per share, J.P. Morgan believes. Analyst Rod Hall issued a note to investors on Tuesday giving his own expectations heading into Apple's Wednesday event. In the note, a copy of which was provided to AppleInsider, Hall said he believes Apple could sell 24 million units of a revamped Apple TV in 2016, especially with new gaming support. When adding additional potential revenue from the sale of App Store content and an anticipated streaming TV service, he sees the device having a meaningful addition to Apple's bottom line. In his estimates, every 5 percent share Apple can carve out of the $35 billion console gaming market would add about 2 percent to his annual earnings per share forecast. "We believe that the combination of graphics capability and an app store in the product could be disruptive for existing console players and positive for game (developers)," he wrote. In addition to a new Apple TV, Apple's Sept. 9 event— dubbed "Hey Siri, give us a hint"— is widely expected to showcase the company's next-generation iPhones, known informally as the "iPhone 6s" and the "iPhone 6s Plus." While some on Wall Street are concerned that Apple may not be able to continue growing sales for its handset, Hall doesn't share those expectations. In his view, Apple "should have little trouble" seeing iPhone sales grow year over year in 2016. His forecast calls for sales to be up 7.9 percent over the next year. Also potentially on tap to debut this week is a so-called "iPad Pro," which is expected to be a new, larger iPad model with a 12.9-inch display. To Hall, a bigger and more powerful iPad would open Apple up to a new segment of the PC market that the company does not currently address. Making the iPad a better laptop replacement would put Apple in a $500-to-$1,000 market space that Hall estimates could drive 100 million total units industrywide.